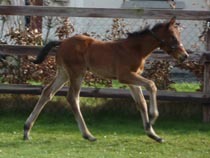 The weather has turned wintery cold again but the foals finally arrive! 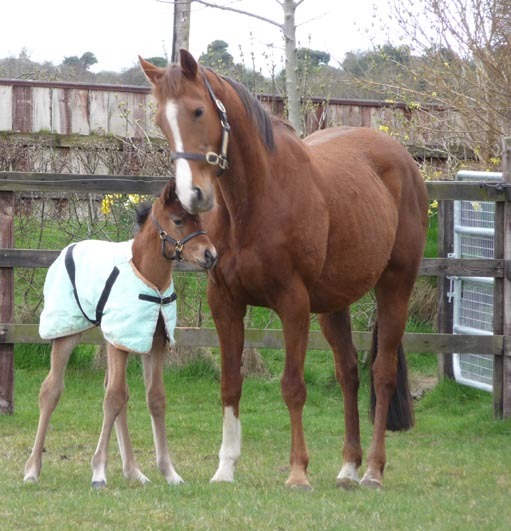 We had two foals born during the last two days. 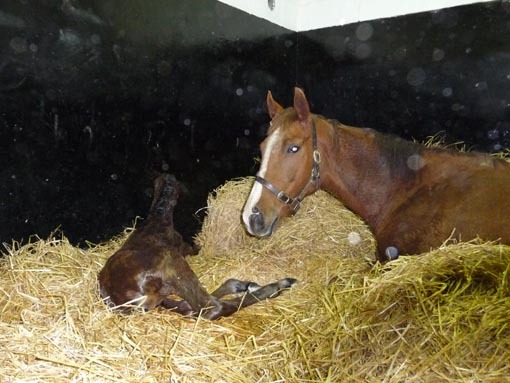 A couple of hours ago, Stariya foaled her third filly, this time by the young and promising Danehill horse Oratorio. He is having his first runners this year and has to be a strong contender for the first season sire title. 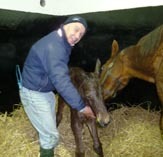 She is a lovely big and strong filly and everyone is very pleased. 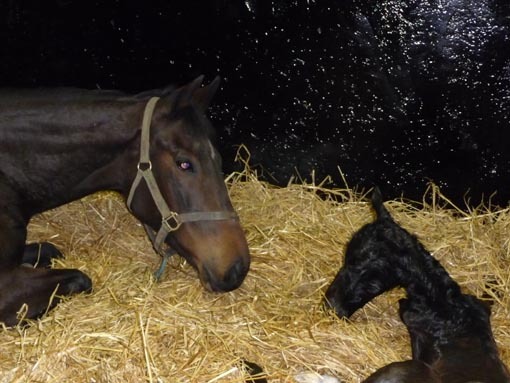 Yesterday Princess Susie (below), a maiden mare, foaled after many nights of waiting. 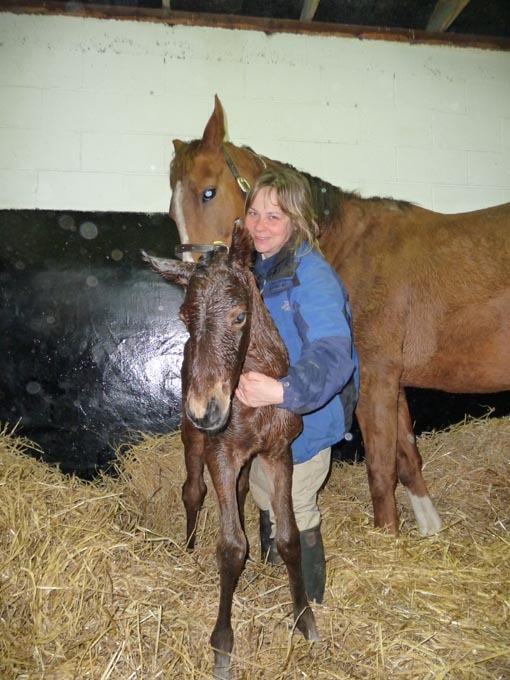 She carried the full 365 days and finally produced a bay filly by Verglas. 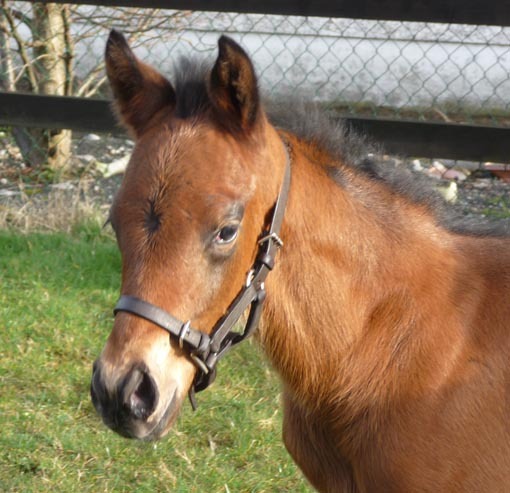 We are taking bets on the colour of the foal, but I go for grey. 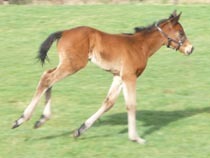 Acclamation colt seen here at 4 days and practising to be a racehorse already!